Built on the site of the historic Capitol Theatre by the Uris Brothers and designed by Ralph Alswang, the theater opened on 28th November 1972 as the Uris Theatre. The premiere production was the musical Via Galactica which starred Raul Julia. It has served as a traditional theatre for the majority of its existence except from 1974 to 76, when it functioned as a concert hall. The theatre was renamed to honour composer George and lyricist Ira Gerswhin during the 37th Tony Awards on 5th June 1983. 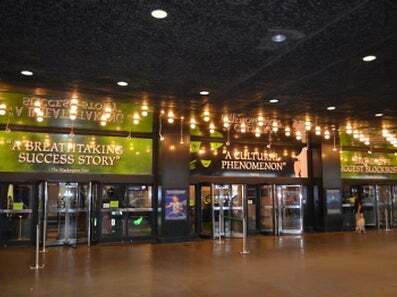 The Gershwin Theatre has the largest seating capacity on Broadway and also houses the American Theatre Hall of Fame in the lobby.